Considered locking in a Safonovo vacation package? It's really simple with Expedia, and you'll be able to buy a few fancy dinners or souvenirs for your friends back home with the money you save. With more than 400 airline partners and 321,000 properties worldwide, our extensive database can help get you where you need to be. You never have to worry about postponing your vacation plans, as we don't charge additional cancellation fees for almost all of our bookings. It can be enjoyable to just stroll around the streets when you're in a new destination, but sometimes it's a wise move to have a plan. Grab your travel itinerary — we have heaps of wonderful ideas for your forthcoming Safonovo vacation. Ditch the history books! Allow the past to come alive at Safonovsky Historical Museum. Still got time to spare? If you'd truly like to experience the wider region like the locals do, put aside a day to go skiing. Located 110 miles (177 km) away, Vitebsk Airport (VTB) is the closest terminal to your destination. Fasten your seat belt and tear your eyes away from that in-flight film — your well-deserved trip to Safonovo isn't far off now! We were not able to find any hotels near this destination. We found these hotels for you in Smolensk Oblast. Situated in Smolensk, this hotel is within 2 mi (3 km) of Roman Catholic Church, Young People's Theatre, and Tvardovsky Apartment Museum. Museum of the Great Patriotic War and 1st Guards Tank Army Museum are also within 2 mi (3 km). 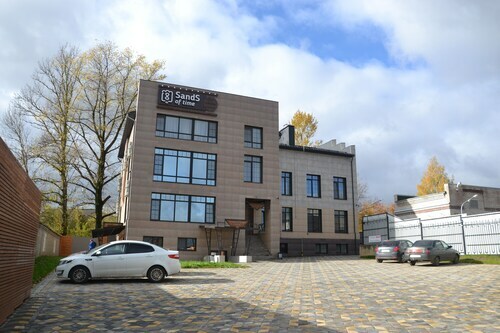 Situated in Smolensk, this hotel is within a 5-minute walk of Zadneprovsky Market and Church of Saint Nicholas. Museum of Russian Vodka and Assumption Cathedral are also within 15 minutes. Smolensk Station is 16 minutes by foot. 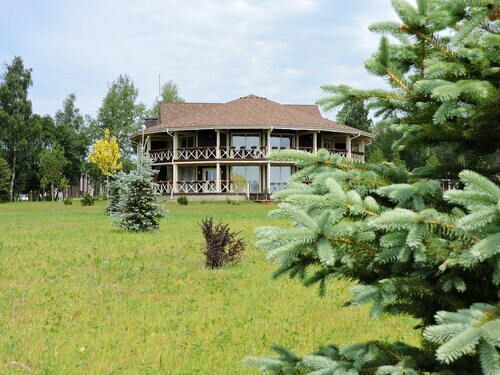 Set in Vysokoye, this family-friendly country house is within 12 mi (20 km) of Teremok Historical and Architectural Complex, Young People's Theatre, and Tvardovsky Apartment Museum. Roman Catholic Church is 11.3 mi (18.1 km) away. Situated in Smolensk, this hostel is within 6 mi (10 km) of Roman Catholic Church, Young People's Theatre, and Tvardovsky Apartment Museum. Museum of the Great Patriotic War and Admiral Nakhimov Youth Center Museum are also within 6 mi (10 km). 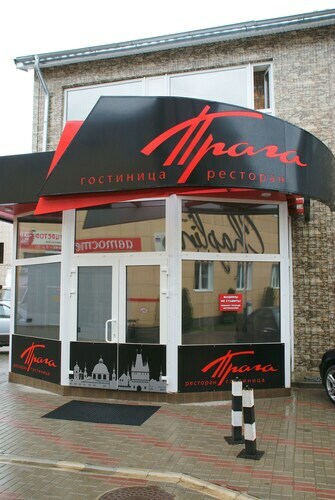 Situated in Smolensk, this hotel is within 1 mi (2 km) of Roman Catholic Church and Tvardovsky Apartment Museum. Young People's Theatre and 1st Guards Tank Army Museum are also within 2 mi (3 km). 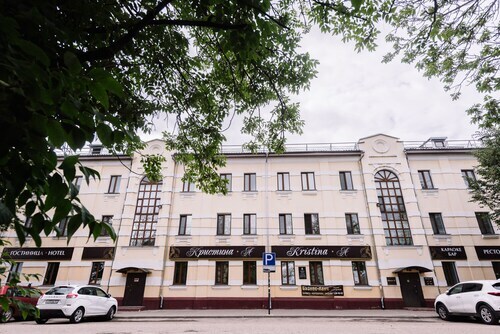 Situated in Smolensk, this hotel is within 3 mi (5 km) of Young People's Theatre, Tvardovsky Apartment Museum, and Roman Catholic Church. 1st Guards Tank Army Museum and Smolensk Flax Museum are also within 3 mi (5 km). Situated in Smolensk, this apartment building is within 1 mi (2 km) of Church of St. Michael the Archangel and Church of St. John the Theologian. Museum of Russian Vodka and 1812 War Memorial are also within 2 mi (3 km). 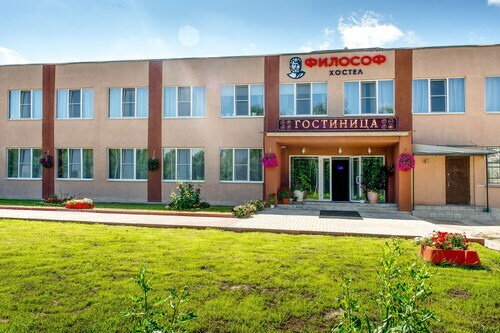 Nestled on the beach, this El'Ninskoe hotel is within 32 mi (52 km) of Zubstov Local History Museum, Sychevsky Local History Museum, and Gagarin's Museum.